· Soak raw rice for 2 to 3 hrs. · Soak the dry yeast into a warm water. · Grind rice, cooked rice, coconut or coconut milk, sugar to a fine paste of free falling consistency. · Add the yeast water to the above ground paste.Place the mixture in a warm place for almost 8 hrs for fermentation. · Add salt, mix well and let the batter sit for another ½ hr in the warm place. 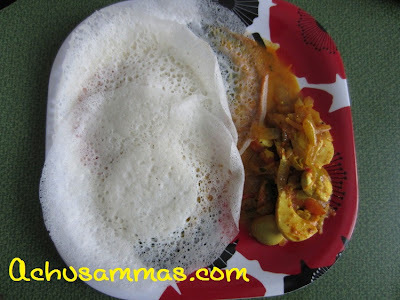 · Heat appachatti and pour a ladle full of batter at the center of the pan. Swirl the pan 360degree to spread batter as a thin round. · Cover the pan with lid and cook till the raw color changes. 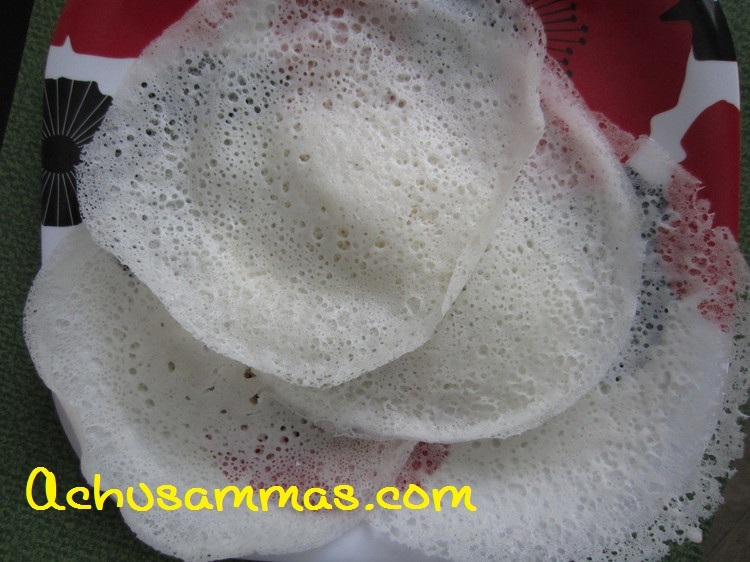 Remove palappam when sides are crisp.